Have you ever heard of a tree whose almost all parts are helpful for curing various issues of health and to keep us healthy? We all have heard that herbs are useful in different manners, but only few know the fact of a truly miracle tree. It is none other than the roadside moringa tree. Some people who are aware of moringa tea benefits and its nutritional value are calling it ‘Tree of Life’. This tree also has the potential to fight against malnutrition. Ayurvedic researches have revealed the fact that the leaves of this miracle tree have the power to cure nearly three hundred diseases. It is also known as Malunggay. Different parts of the moringa tree can be used to prepare different dishes. Some of them are drumstick cashew nut curry, drumstick tomato curry, noodles with its leaves and many more. 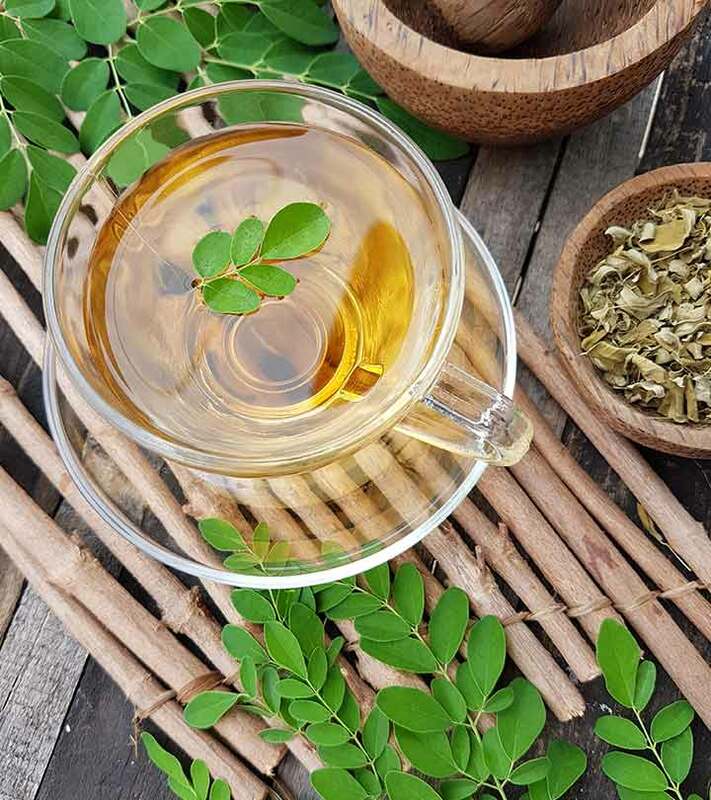 Among all these preparations, moringa tea is really beneficial for human health. Morning tea and moringa tea are co- related to each other. Both of them almost sound the same. Taking a morning tea good for health will be a great start of the day. Moringa tea consists of a number of nutritional values which can help you stay active throughout the entire day. Now, one must be thinking that how can we prepare moringa tea and which part of this tree is used to make this healthy drink? Flowers of this tree are used to prepare tea. The tea prepared from its leaves has high levels of polyphenols. Thus, the miracle tea works as an antioxidant. In turn, the tea performs the functions of an antioxidant. It detoxifies human body and even supports in strengthening their immune system. Skin health can also be improved by consuming this tea on a regular basis. Now, let us have a look on amazing benefits of moringa tea. This tea fights against nausea, indigestion, diarrhoea, diabetes and many more. Diabetic patients can easily consume this tea as the sugar content is low. On the whole, it helps in developing health conditions. The magical tea is a rich source of Vitamin C. It enhances the blood circulation within your body. If a person starts drinking moringa tea regularly then his/her body will be able to absorb the protective nutrients rapidly. 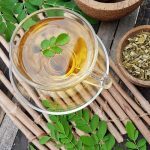 Check out top health benefits of moringa tea. The modern trend is to remain slim and trim. Therefore, in order to be slim, one can try out a healthier way. Studies reflect that moringa tea is helpful for dealing with gastrointestinal problems. Its stimulating effect over metabolism helps the body to burn calories in a faster pace (1). Moringa tea is absorbed into the intestine. A cup of moringa tea every morning can energize your body parts and help you to remain pro- active throughout the entire day. 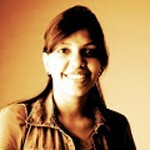 You will automatically feel that you are feeling well and energized than before (2). Besides being a nourishing drink for the entire body (3), Moringa tea also has a key role in nourishing your brain and eyes (4). Nourished brain helps in taking proper decisions even on tough situations. Moringa miracle tea promote proper digestion of food. Proper digestions can relief a person from problems of upset stomach (5). The energy boosting tea also helps in the proper functioning of kidney and liver. A body is considered to be fit and healthy only if the waste disposal function is normal. Skin is the mirror of one’s health. When the digestive and excretory system of a body functions properly, its effect can be visualized from the skin. The skin becomes healthier to look at and turns to be flawless day by day (6). Hair becomes lively, shiny, glossy with the proper intake of nutrients. The nutrients present in this tea enhance the proper growth of hair. So, this was about top moringa tea benefits, now learn how to prepare it at home. 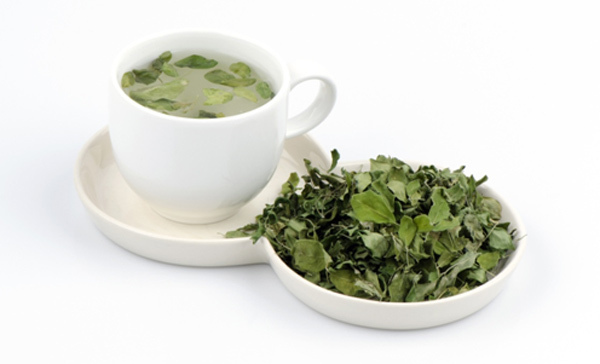 Moringa nutritious tea can be prepared easily at home. Just follow these simple steps. You just need to pluck the matured leaves from its branches. No special tool is needed to complete this first step. The greenest leaves are to be collected and not the yellow ones. Then is the step of sorting the best fresh leaves from the impurities. Drying them on air is the next step. Sun drying is not encouraged as it reduces the nutritive powers present within them. The dried moringa tea leaves are then crushed. The next steps are pan drying, storing and brewing. Hope you understood the amazing moringa tea benefits. Please leave us a comment.